Mark of the Beast: When Is It Coming & Should You Worry? Many people worry about the Mark of the Beast. Some people fear that the Mark of the Beast has already arrived. Others fear they already have accepted the Mark of the Beast. When is the Mark of the Beast coming? Will you be forced to accept the Mark of the Beast? Can you get the Mark of the Beast without knowing it? Some claim that the Mark of the Beast is already here. However, that claim overlooks the fact that many events still need to take place before the Mark of the Beast arrives. In this section, I will provide you an overview of 5 can’t-miss events we can look for to tell whether the Mark of the Beast is about to be given out to the public. The detail about the Antichrist being given power for 42 months matters. This detail provides us a good sense of how soon the Mark of the Beast can conceivably be introduced to the public. 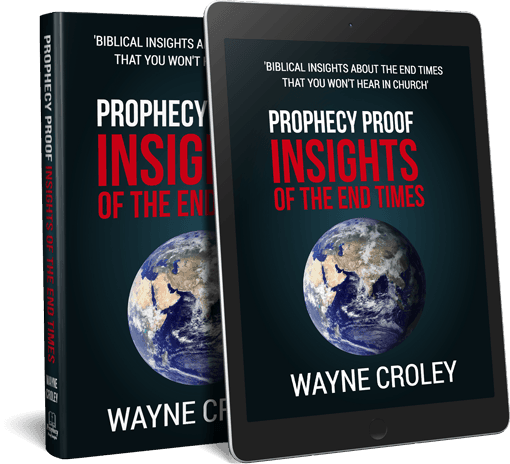 We can conclude from this information that the Mark of the Beast system is unlikely to appear before the midpoint of the tribulation. With this knowledge, here are 5 can’t-miss events that’ll let us know that the Mark of the Beast is near. The “covenant with many” will likely be a Mideast peace deal involving Israel and others. Once the 7-year covenant is confirmed there may be as little as 3.5 years before the Mark of the Beast arrives. If you see this take place, you may only have a few years before the Mark of the Beast arrives. You will know that the Mark of the Beast is about to arrive when you see the Antichrist demand worship in a Jerusalem temple. This event will occur at the midpoint of the tribulation (compare 2 Thessalonians 2:3-4 with Daniel 9:27). This event will likely be shown around the world because it will be the Antichrist’s first public claim that he is God. If you see this, realize that the Mark of the Beast is imminent. If you see this event, you will know that the midpoint of the tribulation and the Mark of the Beast is near. daily sacrifice beginning in that temple. If you hear about the start of either of these developments, be aware that the abomination of desolation may come soon and the Mark of the Beast is near. Many people fear they will be forced to accept the Mark of the Beast against their will. Do you need to worry? Find out in this section. We need to understand the Mark of the Beast’s main purpose to answer if you will be forced to accept it. It is important to recognize that a person can also buy or sell using the name or number of the beast. This suggests that people do not get the Mark of the Beast just so that they buy or sell (although people probably will receive a mark during the process of getting the beast’s name or number). The Mark of the Beast’s main purpose is to serve as a way for people to prove that their allegiances are with Antichrist. In other words, accepting the Mark of the Beast means that you have declared yourself a follower of the Antichrist and thereby an opponent of God. The Mark of the Beast would lose a lot of its symbolic significance as a way to show loyalty to the Antichrist. It would become much more difficult for the authorities to identify true, loyal followers of the Antichrist. There would be fewer necessities of life for the true supporters of the Antichrist as opponents would be able to buy and sell items with their Mark. This would pose a big problem at a time when necessities like food will be in short supply. We can see that the Mark of the Beast will be a choice by the fact that not everyone will accept it. Revelation 20:4 recognizes a group of beheaded individuals who are without the Mark. The fact that people had the choice to say “no” means that the Mark of the Beast was not forced upon them. The people cited in Revelation 20:4 rejected the Mark of the Beast because they stood strongly for their beliefs. They will deny people without the Mark of the Beast the ability to buy and sell. They will brutally oppress those who have not yet become part of the Mark of the Beast system. 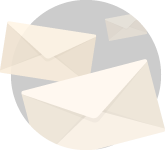 Therefore, you will be given a choice about whether to opt into the Mark of the Beast system or not. The choice is basically: become part of the system or survive on your own. It’s not an appealing choice, but there’s a choice nonetheless. The Mark of the Beast is not here yet nor will you be forced to get it against your will. However, is it possible for you to get the Mark of the Beast without knowing it? As shown earlier, we have a good idea of when the Mark of the Beast will arrive. The fact that we have an idea about when the Mark of the Beast will arrive suggests that its coming is not meant to blindside those of us who pay attention to what’s happening. Recall that people will have a choice about whether to accept the Mark of the Beast. The existence of this choice implies that people will be made aware of the Mark of the Beast’s existence and the consequences of not accepting it. Consider the public role that the False Prophet will play in the acceptance of the Mark of the Beast. 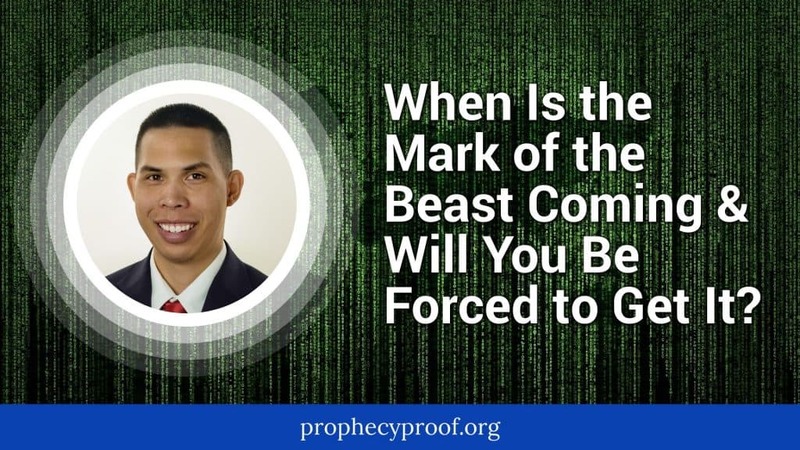 It is unlikely that the False Prophet will get so many people to accept the Mark of the Beast without a public effort to persuade them to take the Mark. Therefore, it is likely that the False Prophet will conduct a major public campaign to promote the need for people to accept the Mark of the Beast. Most people will listen to the False Prophet’s instructions. Therefore, you should not worry about getting the Mark of the Beast unknowingly. Should We Worry About the Mark of the Beast? We do not need to worry about the Mark of the Beast just yet. There’ll be clear signs to look for to alert us that the Mark of the Beast is on its way. Also, we will not be forced to accept the Mark of the Beast against our will. We do not need to lose any sleep over the Mark of the Beast at the moment. However, this does not mean that we should ignore the efforts to develop the technology and infrastructure that will someday be part of the Mark of the Beast system. I have no doubt that there are people working to make the Mark of the Beast system a reality. The time remaining at the midpoint of the tribulation is 42 months (3 years x 12 months in a year + 0.5 Years x 12 months in a year = 42 months). The Antichrist will be a man from a group of seven leaders referenced in Revelation 17:10-11. Whom you mention is not one of those seven leaders. MAGA is the Mark of Beast upon forehead. I purchased crypto currencies knowing that they could be in some way demonic. Have I accepted the Mark of the Beast? Thank you. May God keep you too. I understand that the policies that have been created to make us believe that homosexuality is acceptable and lawful. is a make of the beast. it’s very clear to me that people are choosing to accept man’s law over God words and law. It is being called a human rights issue but this is not a truth. homosexuality is not an identity, its a behavior and behaviors can either be appropriate or inappropriate this is for God to say not man. Also, should add that the part about a man declaring himself God and putting the abomination in the temple already happened. The Romans destroyed the temple when they conquered the Jews and put up a statue of Zeus inside it. Caesars declared themselves living gods. So this is not a prophecy of what is to come. It’s a story about what has already happened. Or is it a type of what is to come as so many events/prophecies in the Bible are? you sound real ignorant dude, Connie i couldnt have said it better myself.